After a few fantastic - albeit rainy - days in Amsterdam, we were off to Copenhagen. 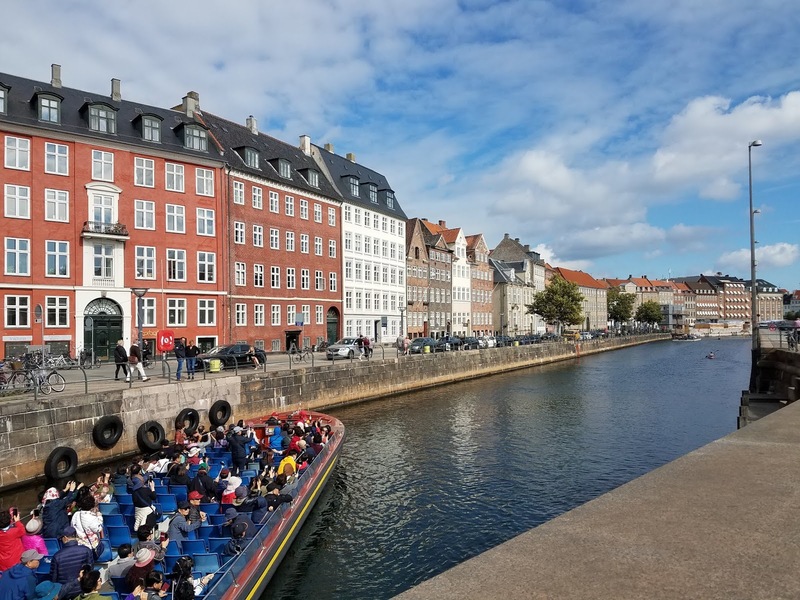 I was especially looking forward to surrounding ourselves with Scandinavian design and culture, and exploring the city on foot. 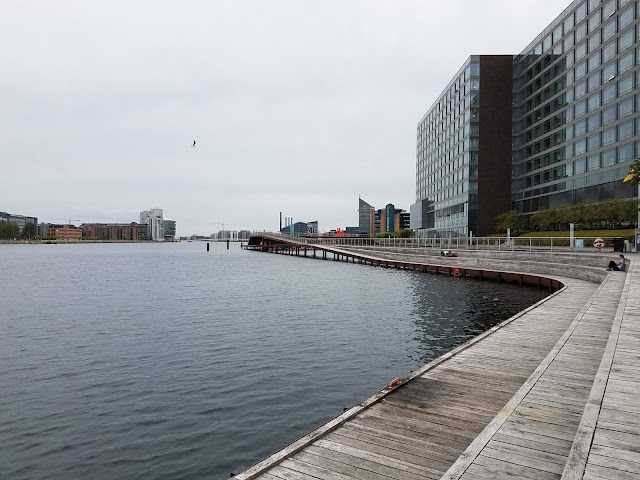 On our first day in the city we saw notices on apartment building doors alerting residents about the Copenhagen Half Marathon, which would be run the following weekend. I haven't been able to shake the idea of going back one day to run the race. While there are definitely hills in Copenhagen, for the most part it was pretty flat where we wandered during our few days in the city. 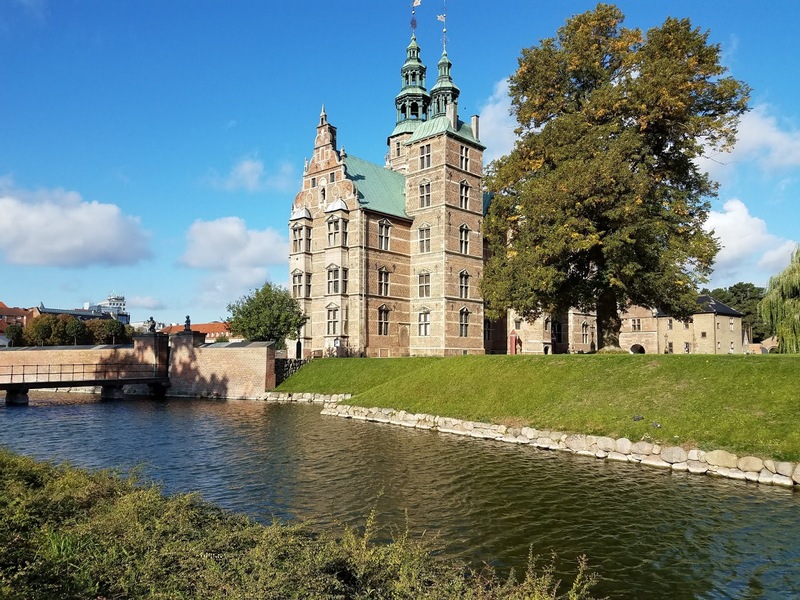 We found Copenhagen to be a fairly easy city to get around on foot and enjoyed the two runs we had time to fit in. Definitely a great way to get our bearings and see the sights. Unfortunately it wasn't until our last night that we stumbled upon another area that would have been great to run - which I'll note below. We stayed in a hotel right near the City Hall and Tivoli; an unusual spot for us in that it was a very touristy area, but the benefits were that it was very central, close to the train station and offered a delicious and large breakfast spread that included vegan options. 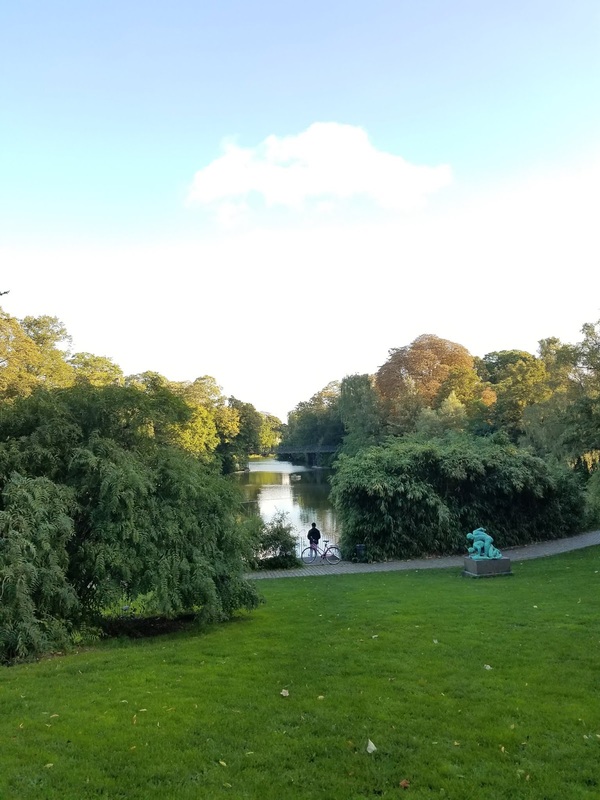 Our first run combined several parks in the downtown city core, which isn't that difficult because there are a number of parks in Copenhagen. 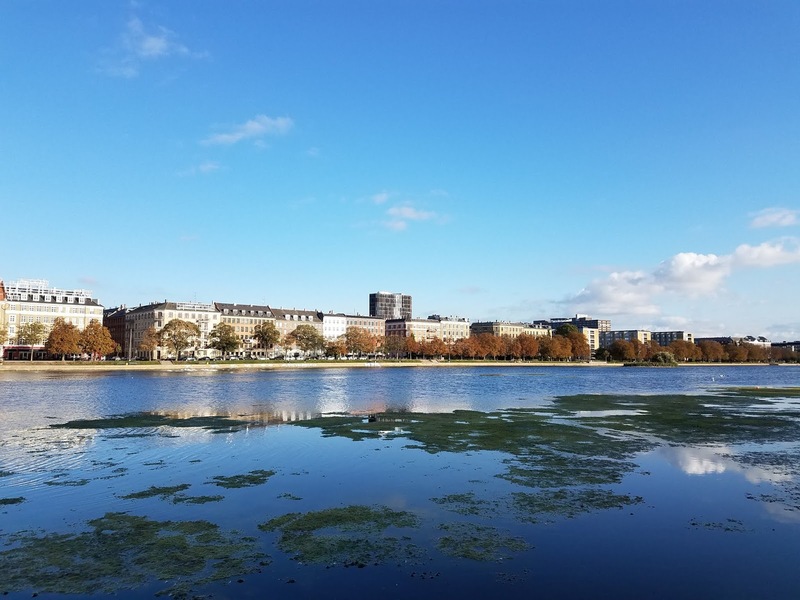 We first dipped into Ørstedsparken, which was right down the road from our hotel and features a large lake with several trails. It was a little oasis in the city. This park is just two blocks from "the lakes", a series of three lakes right on the edge of the downtown core, with a crushed gravel path around the edge. This was a beautiful place to run and is popular for running and walking. Once we got to the north end of the lakes, we took Dag Hammarskjolds Alle to Østre Anlaeg Park where once again, we found several small lakes, crushed gravel paths again and a few actual hills. Another peaceful spot in the middle of Denmark's capitol city. 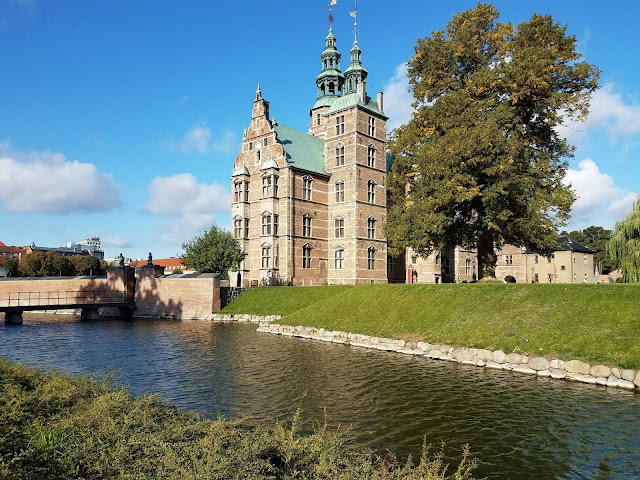 We left this park near the Statens Museum for Kunst, which is catty corner from Kongens Have - the King’s garden - and Rosenberg Slot, a beautiful and impressive palace. We zigzagged our way through the park to see the sights - took a few photos - then exited the garden and ran along Landemaerket and other small streets we thought looked interesting, finally making our way back to City Hall Square. 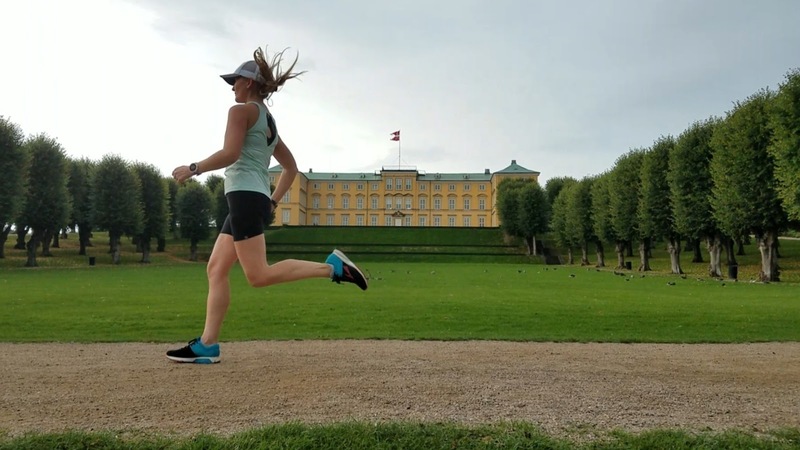 We really enjoyed this run with all the gravel paths, water views and the fact that we're not accustomed to running by a palaces built in the 1600’s. For a run that's easier to navigate, a full turn around the lakes is 6.4K. 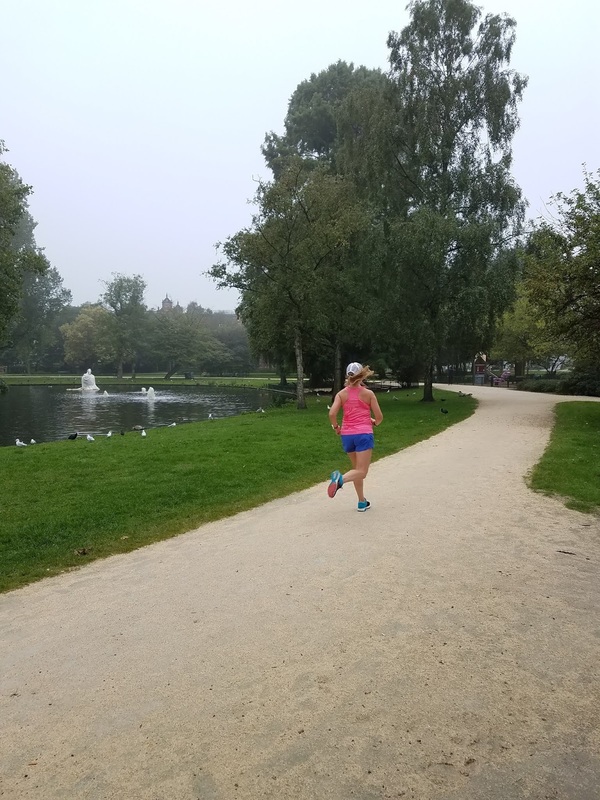 We only had time for two runs during our stay in Copenhagen, and our second run took us to a different part of town, and through a few neighborhoods. I had explored Fredericksberg Have a bit on our first day when Matt was taking a tour of the Carlsberg Brewery, and wanted to get back there. There are three roads you can take to or from Fredericksberg Have - Gammel Kongevej to the north, Vestrobrograde to Fredericksberg Allé, or Vestrobrograde the full way. We took a combination there and back, dodging groups of school kids and commuters on bikes. We created a big loop of sorts, through two parks really - Frederiksberg and, to the south, Søndermarken. Through these two parks, you pass by gardens, lakes, the zoo, and, of course, Fredericksberg Castle. Again, this run was a great mix of both city streets and calm, peaceful parks, with beautiful architecture along the way. 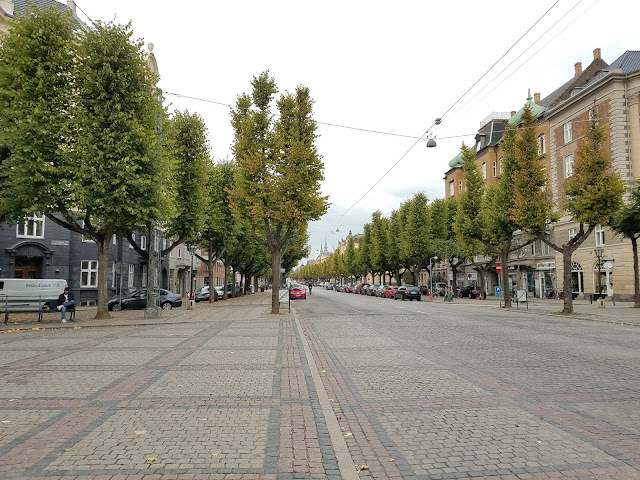 We ran back to our hotel along Fredericksberg Allé, which is a beautiful tree lined street and reminds me, a bit, of 5th Ave along Central Park with the wide sidewalks and trees. From what I understand, this road was originally constructed as the King's private road to his new summer home. Now, our last evening in Copenhagen we were wandering around the city, in an area we hadn't explored yet and came across Kalvabod Bølge - a promenade that runs along the waterfront, specifically designed to bring people closer to the water. The design mimics a wave, and from this wooden structure people can dive into the water for a swim (we saw a few people swimming, a unique afterwork activity), rent a kayak, walk or run along the promenade, or just enjoy some r&r. It is part of the Harbour Circle, a route along the waterfront, on both sides of the river. The full route is 13k, however there are smaller sections of 2, 4, and 7k for those looking for something a bit shorter. I'm not sure how we didn't notice this area sooner as we had been just down the river a bit from it multiple times. Definitely a place we'd want to go back on a more sunny day. We really did love our time in Copenhagen and I hope to go back again and explore more of the city and the region in Denmark. While we saw quite a bit over three days, there's so much more to do. Going to Amsterdam? Read about three great runs to do in the city here. As I've said many times before, I love running when we travel. It's a given that I will need a suitcase big enough to carry "regular" clothes but more importantly, my running gear. On our recent trip abroad, we were able to run in both Amsterdam and Copenhagen. Our stop in Reykjavik was basically a glorified layover and our one full day was spent on a bus tour (waterfalls! glaciers! puffins!) which didn't leave time for a run. And truth be told, the rain and wind wasn’t too inviting, either. The runs that we did do were informed by friends and research. Because I like to be prepared, research and insights from people who have run in cities I'm not familiar with is really important. To help you decide where to run if you're heading to Amsterdam, below is a recap of the three runs we did based on the parks we ran to. But it's not all about the parks. If you're staying in central Amsterdam, you'll have to run by or over the beautiful and iconic canals, which makes any run in the city memorable! 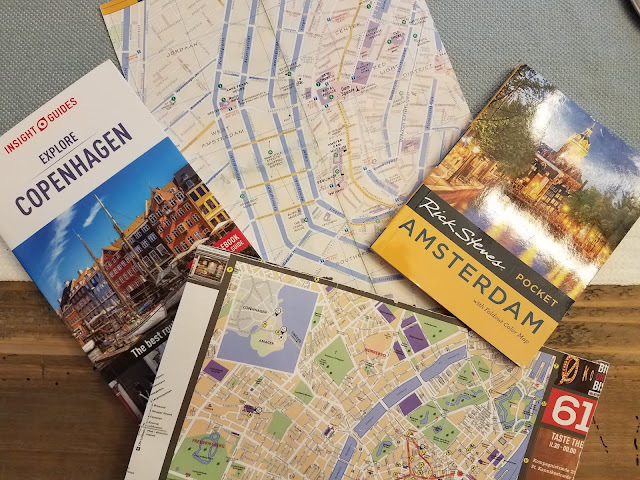 Of course, the exact route you'll take will depend on where you’re staying, but my hope is that this provides some insight that will be help you plan. Running to, and through, city parks gave our runs some structure but I highly recommend going into each run with an open mind and a willingness to explore. Also, this is a big city, so don’t be surprised if you have to stop for traffic lights and bikes. Wherever you run, you must watch out for the cyclists. 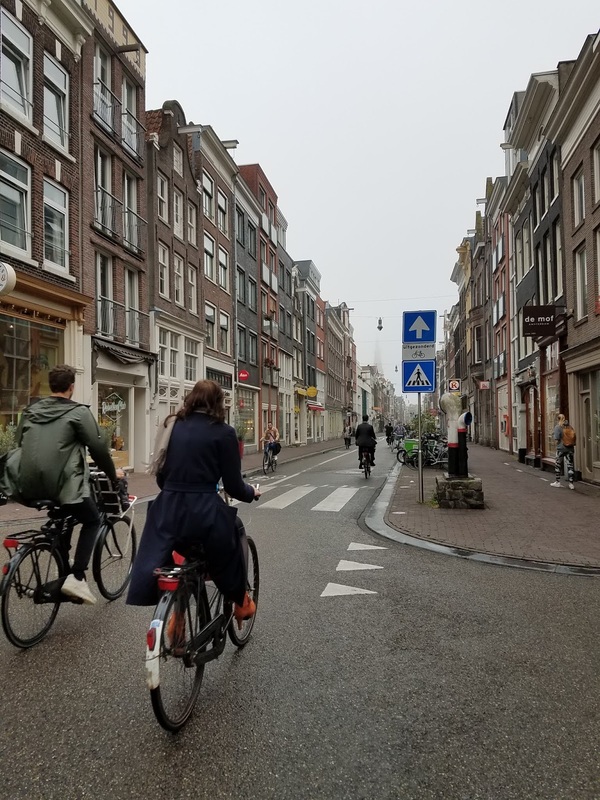 There are many of them and even though they all seemed so much more chill than bike commuters in the US, they won't stop. Vondelpark is located in Amsterdam Oud-West, just south west of the canal ring, near Museumplein (Rijksmuseum, Van Gogh Museum, etc.). While one of the largest parks in the city, it also seemed to be quite popular with commuters as there was an endless stream of cyclists on the roads. 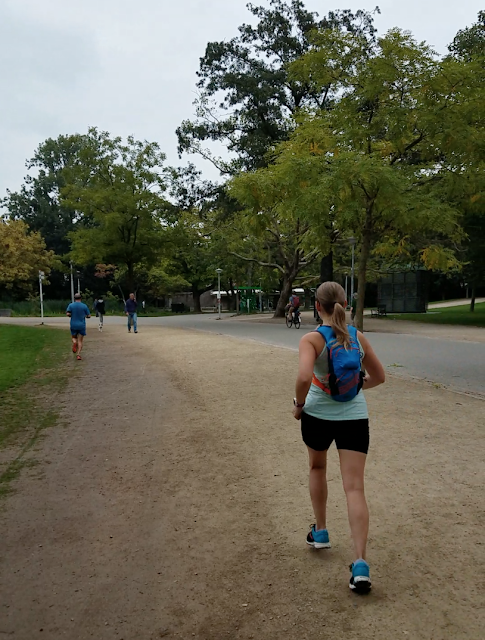 There were nice gravel paths along the outer edge and crisscrossing through the park, which we were thankful for after walking on the city’s cobblestone streets. We particularly liked the ponds within the park and the grand houses and buildings along the outside. It's a beautiful park that's easy to navigate and with all the paths, you can really explore. From our Airbnb near Neumarkt, we took a winding combination of small streets to the park, crossing over Leidseplein bridge to get there. If you're looking for an Asics store, there's one right near the park. Leaving the park, we ran along a canal and into de Nine Strasse (The 9 little streets) where we found a cute little cafe for breakfast. We likely could have taken a more direct route to the park, but it was our first morning in the city and were still getting our bearings. Plus, it's fun to get lost along the way! On the north west side of the canal ring, Westerpark is northwest of Amsterdam Central Station, in the Jordaan. The size of the park looked different depending on the map we were looking at, but as we ran it, we found it to be quite substantial. 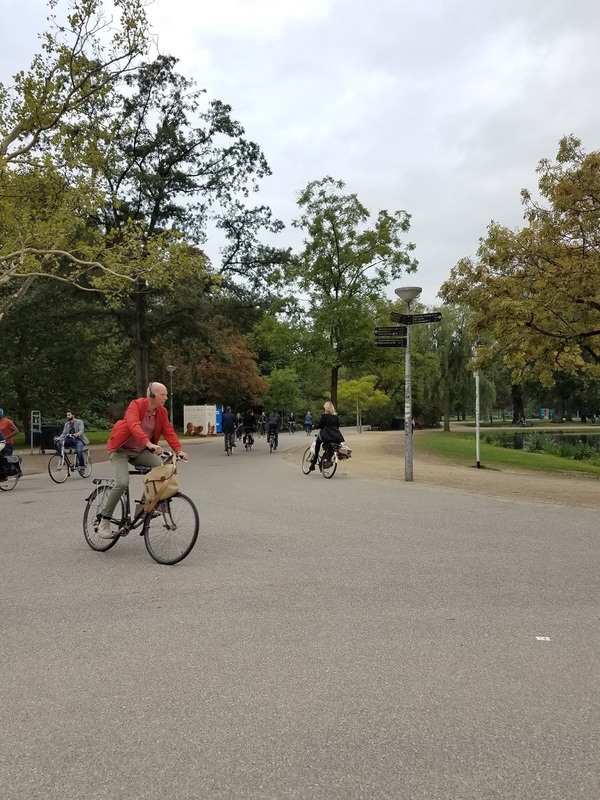 Again, popular with bike commuters, this is a long and narrow park with a road going through the center and a running/walking path alongside. A section of the path is along a marshy area and small canal, with cute little cabins on the other side. From what I learned from a friend, the cabins are likely vacation homes, rather than full-time. Either way, even for Amsterdam they seem super unique! The trail is paved and in really good condition. I appreciated the separate trail from the cyclists, but we did run along the wider path on the way back for a different view. 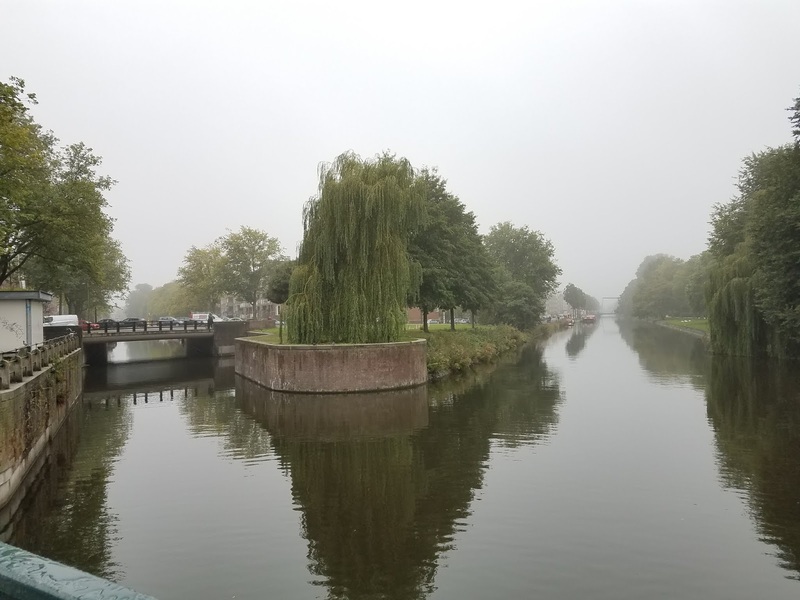 It was 99% humidity that morning after the rain (so much rain), so our photos are a bit gray and hazy! 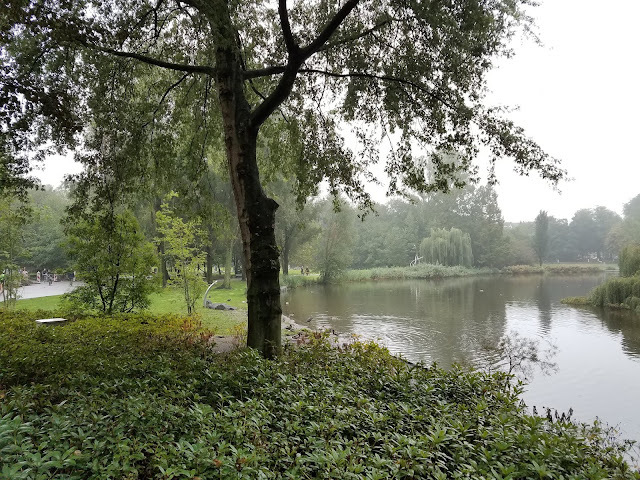 We got to this park by running up Zeedijk, across on Prins Hendrikkade, which goes over a few canals, and then taking Haarlemmerstraat straight to the park. This was essentially an out and back run; we got coffee and pastries from Brood on Zeedijk for breakfast (amazing pastries, very hot coffee). There are quite a number of bakeries and cafes along Haarlemstrasse that smelled amazing, as well. 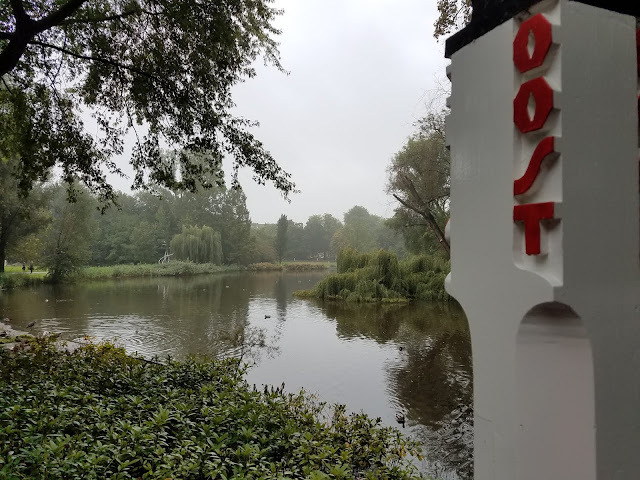 Oosterpark is in Amsterdam-Oost, southeast of the canal ring. This run was a great way to explore a part of the city we hadn’t spent much time in yet. This park is smaller than Vondelpark but is a strong competitor in terms of beauty. The lake is beautiful, there’s a nice loop around the park and some paths that split off. It was also busy but a little less so with commuters than the other parks, it seemed. Now, this is gorgeous, isn't it? All of these parks were unique and perfect for our runs! 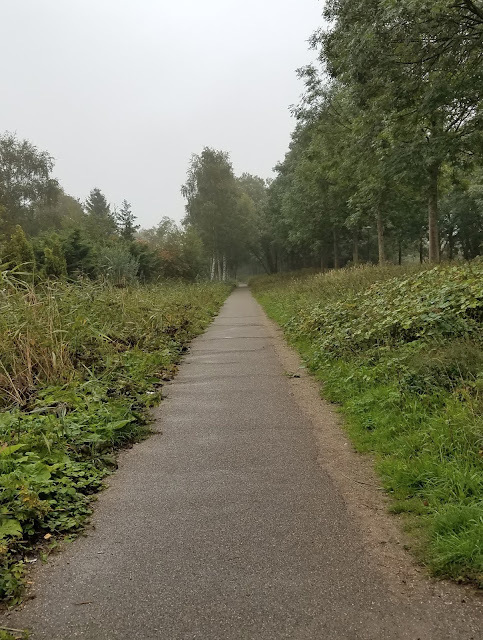 A friend of mine also suggested the Amsterdam Bos, or the Amsterdam Forest, which is a bit farther out but apparently great for long runs if you find yourself in the city while marathon training. I can’t vouch for this park, but I certainly trust the source. Since we are not locals and only visited for a few days, we don’t know all the places to run and I’m actually certain that there are a lot of other great places to go - some may be better than those here. But what I can say is that we found these enjoyable and saw a number of other runners covering similar routes. If your heart is set on finding the one best place to run, first, you probably won’t find it because every runner will have a different opinion but you can try contacting a local running store or running group for suggestions from locals. I won’t be offended. 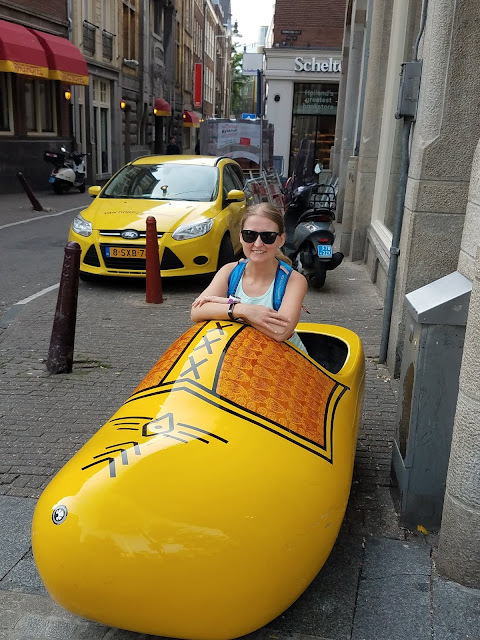 Have you run in Amsterdam? Tell us about it! Going to Run on Your Next Trip? Do This Before You Go. We’ve just finished an incredible trip abroad. Actually, as I write this, we are high above the Atlantic Ocean; between Iceland and Greenland according to the map on the screen in front of me. This trip we’ve been on, to Reykjavik, Amsterdam and Copenhagen, is one we’ve wanted to take for years. It’s a bit sad to see it coming to an end and know that we’ll both be back at our desks tomorrow rather than exploring cobblestone streets and palaces. But, that’s life and what we have to do to go on more trips in the future. Right? Our trip wasn’t necessarily an adventure vacation - we spent most of our time in cities, not on mountains - but it went without saying that we were going to run as many times as we could because that’s one of our favorite ways to explore new places. We ran five times: three mornings in Amsterdam and twice in Copenhagen, and covered 26 miles. Of course, we covered countless more miles walking around. On several occasions, my Fitbit reached more than 35,000 steps at the end of the day. We enjoyed all of our runs and felt that they helped us get to know the cities better. Let’s face it though, adding running gear to your suitcase does require space and weight, so it’s important to make it worth it. In my opinion, it really comes down to one thing: Do the prep work. Much like planning for any long run or training, taking time to prepare and plan will increase your enjoyment of running on vacation. Back to parks for a moment. I highly recommend incorporating parks into your route, especially if you’re visiting a city. They tend to offer safe running routes that don’t require frequent stops for traffic lights, not to mention green space helps us relax. While you’re out on the run, be open to turning down a street that looks interesting and don’t forget to look around you. While you might be training for a race or want to get in a specific distance, you’re in a new place. Look around you and take it all in. Don’t let it all go by in a blur. Finally, remember to stretch when you’re done. It's an easy thing to forget when you're ready coffee and a delicious brunch, but you'll be happy you took the time to do it in the long run. It's really fairly simple. Make the commitment. Plan ahead. Explore. Have fun. Do you run when you travel? Why or why not?